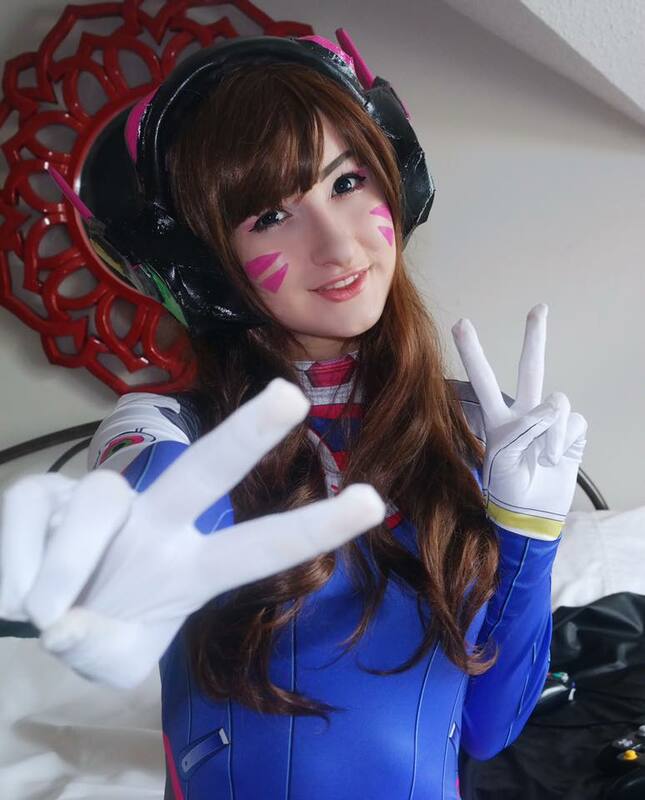 The wonderful people over at Wig-Supplier sent me a D. Va cosplay to review, so here it goes! First, I’d like to say that Wig-Supplier not only has amazing customer service, but out of all the cosplay shops I’ve come across they have the most affordable pricing. Unlike many cosplay shops their products are priced fairly and I think that says a lot about the shop as a whole. As I mentioned earlier they have impeccable customer service. They communicated with me very well all throughout our transactions, responded quickly and concisely, and were sure to answer any questions I had clearly. It’s always nice to find a company that is really great at communication. This costume costs $44.99 (plus shipping I’m not sure what shipping costs) costumes similar to this on other websites typically run: $60-$200 so it’s a pretty great deal. 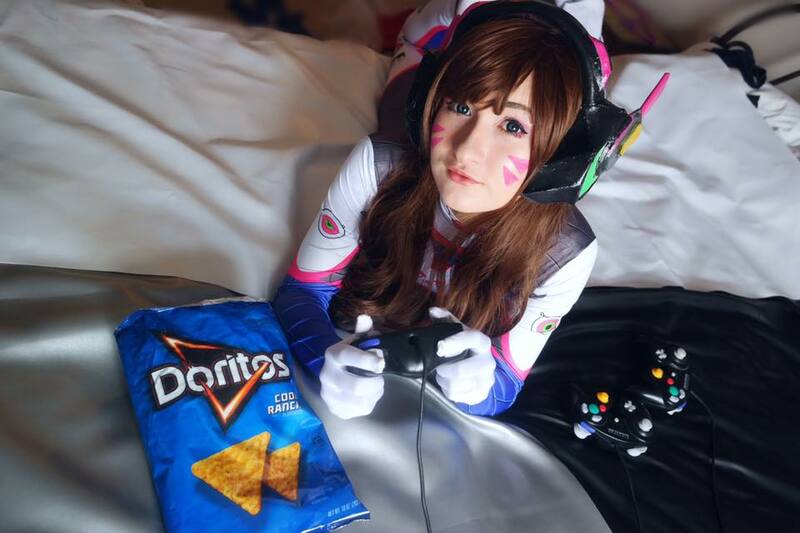 As far as accuracy goes this cosplay is top notch. It has all the details down to her bunny and the leg details. The entire cosplay is made of spandex as advertised and is quite stretchy. It’s absolutely so stunning and comfy. Seriously I could lay around in this all day and character accurate cosplays always make me so happy so all the tiny details they put in are amazing. I would like to mention I knowingly ordered a size large to fit my height despite the other measurements being a few inches too big, however I think it fits quite well. I will mention the arms are a bit loose and because it’s a spandex suit it doesn’t conform to my back this is not a problem for everyone, but is something I will be fixing with some simple sewing. Now I have to mention the stitching on the bottom of the zipper was very loose and had to be reinforced this was probably just my suit and I highly doubt that it will occur with any others, but I did think I would mention it. These problems occur a LOT with any purchased cosplay so I don’t consider them very major at all. Over all this cosplay is amazing and if I had paid for it I would be very happy with my purchase. 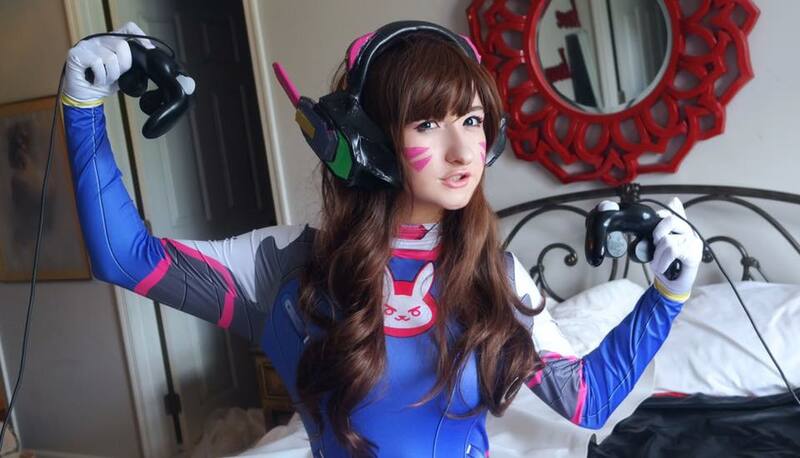 It’s definitely one of the most beautiful and vibrant D. Va suits on the market right now and by far one of the most affordable. I am proud to say there is no fade! 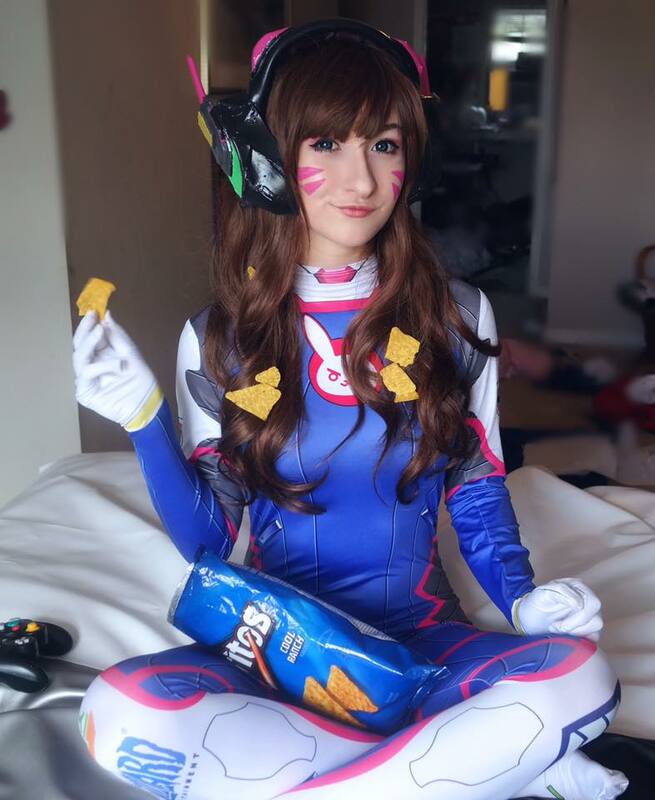 All the (purchased) D. Va suits I seen have this weird fade where the blue is, but this one is vibrant through and through. I’m so so so happy with it and I cannot wait to premiere it at Flocon 2016 and have another photoshoot. 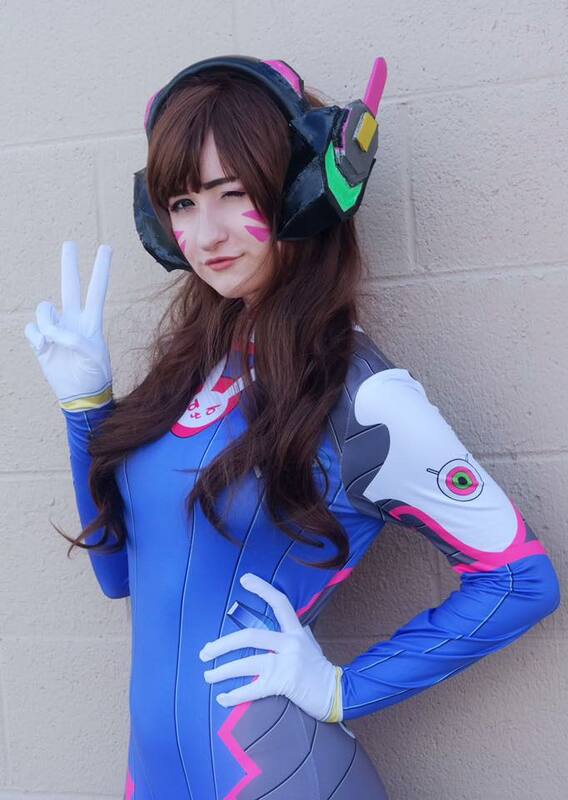 If you’re interested in this cosplay you can find the exact one HERE and a for a wide selection of even more amazing cosplays please check out best wig store! They’re an amazing company honestly with fair pricing and beautiful products so definitely go and check them out. Thanks guys! See you next review! 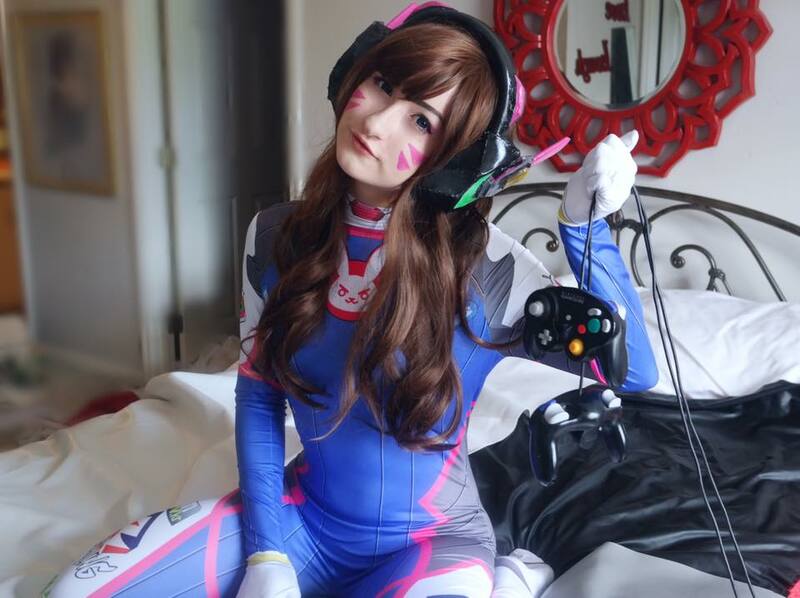 This entry was posted in Cheap Cosplay Costumes, L-email Wig review and tagged cosplay, Cosplay costume, Game Cosplay, review.